The recent and massive expansion in plant genomics data has generated a large number of gene sequences for which two seemingly simple questions need to be answered: where do the proteins encoded by these genes localize in cells, and what do they do? One widespread approach to answering the localization question has been to use particle bombardment to transiently express unknown proteins tagged with green fluorescent protein (GFP) or its numerous derivatives. Confocal fluorescence microscopy is then used to monitor the localization of the fluorescent protein as it hitches a ride through the cell. The subcellular localization of the fusion protein, if not immediately apparent, can then be determined by comparison to localizations generated by fluorescent protein fusions to known signalling sequences and proteins, or by direct comparison with fluorescent dyes. This review aims to be a tour guide for researchers wanting to travel this hitch-hiker’s path, and for reviewers and readers who wish to understand their travel reports. 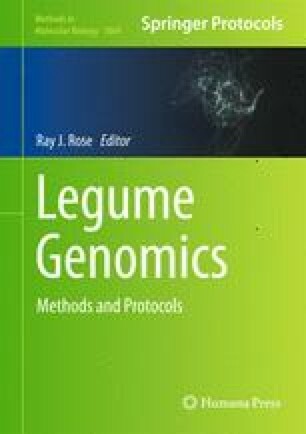 It will describe some of the technology available for visualizing protein localizations, and some of the experimental approaches for optimizing and confirming localizations generated by particle bombardment in onion epidermal cells, the most commonly used experimental system. As the non-conservation of signal sequences in heterologous expression systems such as onion, and consequent mis-targeting of fusion proteins, is always a potential problem, the epidermal cells of the Argenteum mutant of pea are proposed as a model system. This work was supported by funding from the University of Canterbury and the Biomolecular Interaction Centre. The author thanks numerous colleagues for their donations of plasmids, Philippa Barrell and David Goulden (Plant & Food Research, Lincoln, New Zealand) for Argenteum pea plants, and Rosemary White (CSIRO Plant Industry, Canberra, Australia), John Harper (Charles Sturt University, Wagga Wagga, Australia), and Krithika Yogeeswaran (University of Canterbury) for comments on the manuscript and discussions about confocal microscopy.